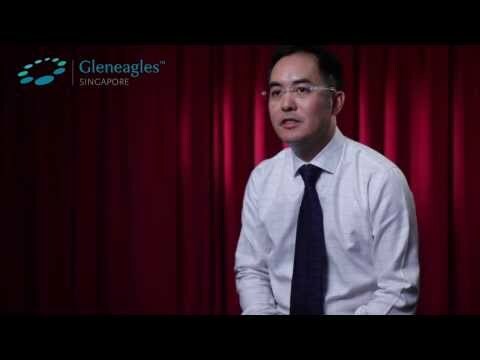 Dr Chong Keen Wai is an orthopaedic surgeon practising at Gleneagles Hospital, Singapore. His clinical expertise includes foot and ankle surgery, especially in correcting ankle arthroscopy and ankle replacement surgery. Dr Chong obtained both his Bachelor of Medicine, Bachelor of Surgery and his Master of Medicine in orthopaedic surgery from the National University of Singapore (NUS). He also became a member and a fellow of the Royal College of Surgeons of Edinburgh, UK in orthopaedic surgery. Thereafter, he was awarded the Health Manpower Development Plan (HMDP) award to pursue subspecialty training in reconstructive foot and ankle surgery, as well as in trauma and reconstructive surgery in Germany. Dr Chong was formerly a consultant orthopaedic surgeon at the Singapore General Hospital (SGH). There, he established the foot and ankle fellowship training programme, which has been instrumental in training many regional surgeons. He continues to be a visiting consultant to 3 large public hospitals in Singapore, namely SGH, the Tan Tock Seng Hospital (TTSH) (the largest trauma centre in Singapore) and Khoo Teck Puat Hospital (KTPH). Dr Chong is an active faculty member of AOTrauma and has been awarded gold membership status for his contributions. He is also a member of the Dragon total knee replacement study, which involves about 20 surgeons from across Asia. In addition, he is a key opinion leader in the Asia-Pacific region on the use of radiofrequency coblation technology in minimally invasive treatment of tendon injuries and heel pain.